Vivien Elisabeth Cardone is an American actress. She is known for her role as Delia Brown on The WB's Everwood. Cardone began her professional acting career at the age of three months in national campaign commercials, for such companies as Pizza Hut, Sears, Pillsbury, Sherwin Williams, and Prudential. Her first film performance was as Marcee Herman in the Academy Award winning film A Beautiful Mind. Her biggest role so far has been in Everwood, in which she played Delia Brown. She played the role for four seasons, until the show was cancelled in May 2006. 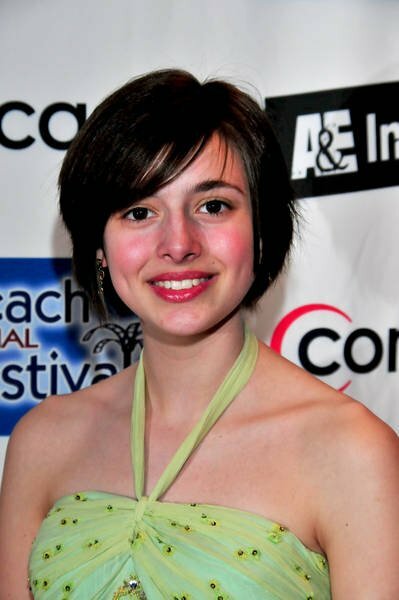 She was nominated for a Young Artist Award for Best Supporting Young Actress in a TV series for all four seasons. In 2008, Cardone starred in the film All Roads Lead Home. In it she plays Belle, a 12 year old girl who has to cope with the loss of her mother from an automobile accident. It stars Peter Coyote, Jason London and Peter Boyle in his last film. She appeared in an episode of Law & Order: Criminal Intent in 2010. Whole or part of the information contained in this card come from the Wikipedia article "Vivien Cardone", licensed under CC-BY-SA full list of contributors here.